How Can My Small Business Increase Its Cash Flow? Big and small businesses need a good stream of cash flow for a variety of reasons. Any number of emergencies may arise that can stress the financial resources of your business . Equipment can break, vehicles may need emergency repairs, key personnel may leave and temps have to be brought in, or you may just run out of inventory and there is no more cash coming in. What can a business do to make sure they have an adequate cash flow? Take a look at the following tips and see what you can do today to integrate them into your business. Don’t delay or put off taxes. Every quarter look at your earnings and expenditures and estimate withholding taxes, land taxes, and other liabilities. Also look at what you bought over the previous quarter that could be a write off for your filing. Work with your accountant and tax professional to make sure you aren’t taking too much money out of your revenue. 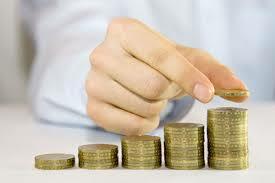 Make a budget for your monthly expenditures. Look at the past 6 months and see what you spent monthly for business costs. Include your office supplies, employee costs, utilities, and material. What you’re looking for is any “leaks” where small amounts of money are being spent but not recorded. This usually occurs when money is taken out of cash to pay for supplies that ran out employee costs that were ignored in the past. They are small sums of money bit they can add up. Stopping these leaks can keep cash in your account ready for unexpected costs. Start an emergency fund for your business. No matter how small amount you can add to it, put it in. Then consistently add to the account as you move along throughout the year. Even when things are tight for a month don’t neglect putting a little money into this fund. It’ll help tremendously when an emergency occurs. Always know what the bottom line is for your business. This may seem self-evident but there are plenty of business owners who have no idea how their business is doing on a daily or even weekly business. Don’t guess at his but have a hard number in your head for the worth of your business. Also keep track of seasonal changes to the bottom line, if you produce a product or service that is used more during a particular time of the year then compare it to previous years. The idea is to gauge those times when you’ll have plenty of cash in the bank for a solid cash flow. Just remember that busy doesn’t equal money in the bank. It’s only after clients have paid you that you can count on the cash. Should an unexpected cash flow emergency occur consider a merchant cash advance. A merchant cash advance is a loan alternative that provides rapid funding to businesses that find themselves facing an emergency that exceeds their current cash flow. This financing option has many features that are advantageous to businesses. Initial applications are quick and easy, you don’t have to qualify for the funds, funding occurs rapidly and you continue to operate your business just like normal. These funds are available to you regardless of your credit. Principis Capital can help you with this unique funding opportunity. Contact them for a full explanation of how their merchant cash advance program works and how they can help you with your cash flow. Cash flow problems can be fixed but you need to take action to solve them, and the earlier you start the better off for your business. Quiz: Should I Apply for a Bank Loan? Downloadable PDF - "4 Steps to Better Business Credit"
What Kind of Fees Are There? How Do I Get Additional Money for My Business? What Sort of Money Can I Get From Principis Capital? How Do I Get Funding From Principis Capital? Do You Work With Home Businesses? ©2010-2017 Principis Capital. All rights reserved. Principis Capital is an established leader in providing small businesses with the working capital they need quickly and easily, regardless of credit. Contact us today to see what we can do for you!